LAS VEGAS – It wasn’t a victory, but Clay Millican believed his runner-up finish in Gainesville felt like one. 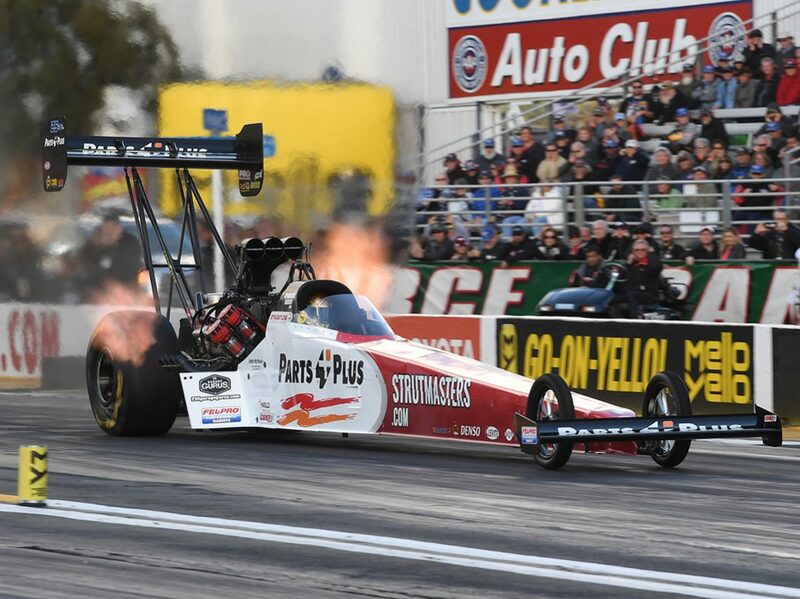 With a young team, plenty of new faces, including a new crew chief, there were plenty of question marks surrounding the Top Fuel veteran heading into the NHRA Mello Yello Drag Racing Series season. Steve Torrence (Top Fuel), J.R. Todd (Funny Car) and Vincent Nobile (Pro Stock) were last year’s winners of the event. It is the fourth of 24 races during the NHRA season and marks the second four-wide race in Las Vegas.